The BERNINA 7 Series includes a meticulously engineered extended freearm with ten inches / 254 mm of space to right of the needle—plenty of room for big sewing projects. Large designs can also be embroidered on the oversized embroidery area. When needed, the BERNINA 780 can also be upgraded with a diverse selection of accessories. You can create mirror images, as well as rotate, combine or resize your designs right on the color touch screen. Personalize with decorative stitches or alphabets with embroidery patterns. Preview alternate color options on the touch screen and save them on your machine or on a USB stick. Use Absolute Check for perfect design placement. 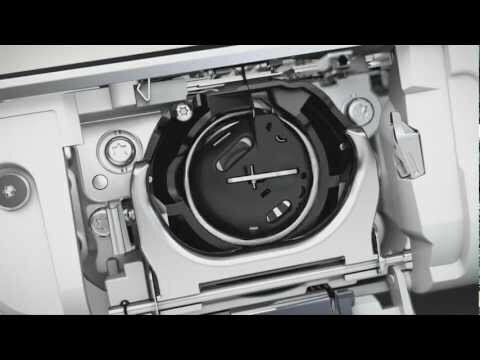 The BERNINA 780 is equipped with the BSR function. 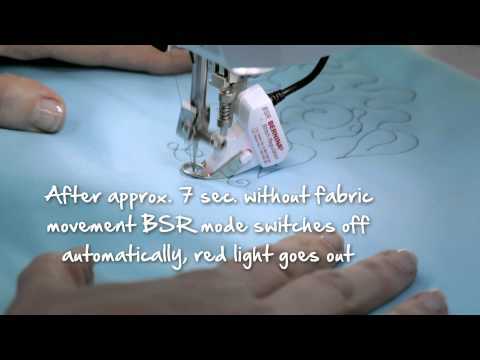 The BSR foot provides high-speed free-motion stitching assistance with both straight and zigzag stitch options and it comes standard with the machine. Optimum visibility and superb fabric feed. The innovative BERNINA Dual Feed tames hard-to-manage fabrics. Easy to engage when needed, the BERNINA Dual Feed tucks completely out of the way when it’s not. The 7 Series machines respond to your needs. For example, the presser foot automatically lowers at the start of a seam and lifts again at the end. The machine will even cut the thread for you at the end of your seam or colour change. Also included is a practical extension table with ample space to hold your larger sewing projects. 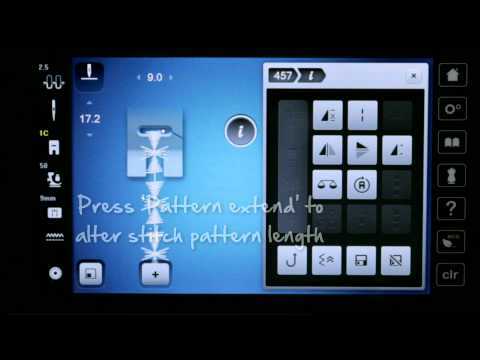 The BERNINA 780 provides an exclusive level of stitch control. Whether altering the stitch length, stitch width, or needle position—or even creating combinations—the machine will remember the stitch details for you. User-friendly features and intuitive navigation: the Sewing Consultant and built-in tutorials offer direct onscreen support and answers to your questions any time, day or night. 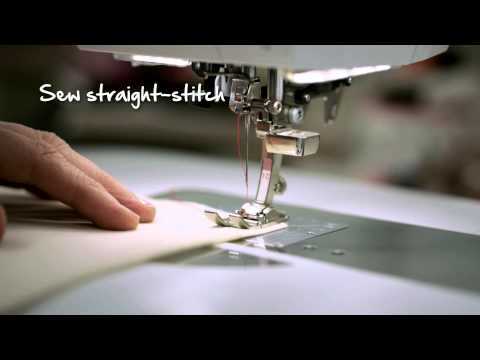 The BERNINA 780 offers hundreds of stitches, all of which are clearly categorized and easily accessible. In addition, there are over 130 built-in embroidery designs and 12 alphabets. Your own embroidery designs can also be quickly loaded via a USB connection. With the launch of the 7 Series, BERNINA presents a world’s first, the BERNINA 9 Hook (B 9 Hook). Combining the two best hook technologies, the B 9 Hook is patent pending. The new heart of the BERNINA machine features a novel, centrally-placed driver, which allows the B 9 Hook to run steady and quiet. The B 9 Hook sews high-precision stitches up to 9 mm in width with speeds up to a 1,000 stitches per minute. And the bobbin has 80 percent more thread capacity than our standard bobbins allowing you to sew longer without interruption. Finally, the B 9 Hook is made of high-quality materials that allow the thread to run smoothly at consistent tension. We are pleased to announce our partnership with Kazu Huggler. Belonging to a new generation of international fashion designers, she lives in Zurich, where she owns her own shop and fashion label, «KAZU». The daughter of a Japanese mother and a Swiss father, she grew up in Japan and Switzerland. Her designs are mostly inspired by traditional Japanese culture. For the launch of the 7 Series, Kazu Huggler created an exclusive dress. She designed the fabric herself and produced it in Switzerland. The design features a crane—a traditional Japanese symbol that stands for luck and longevity. The cut is inspired by the traditional Japanese kimono. With the launch of the 7 Series, BERNINA presents a world’s first, the BERNINA 9 Hook (B 9 Hook). Combining the two best hook technologies, the B 9 Hook is patent pending. The new heart of the BERNINA machine features a novel, centrally-placed driver, which allows the B 9 Hook to run steady and quiet. The B 9 Hook sews high-precision stitches up to 9 mm in width with speeds up to a 1,000 stitches per minute. And the bobbin has 80 percent more thread capacity than our standard bobbins, allowing you to sew longer without interruption. Finally, the B 9 Hook is made of high-quality materials that allow the thread to run smoothly with consistent tension.